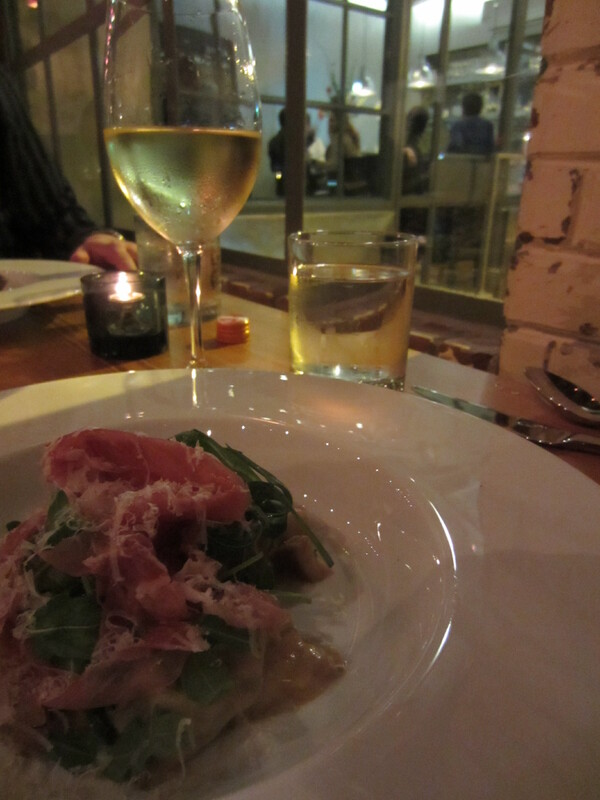 My adventures this week, lucky for me, have included some tasty gastro-delights and unique wines. Here is a fun, quick recap of my small indulgences. 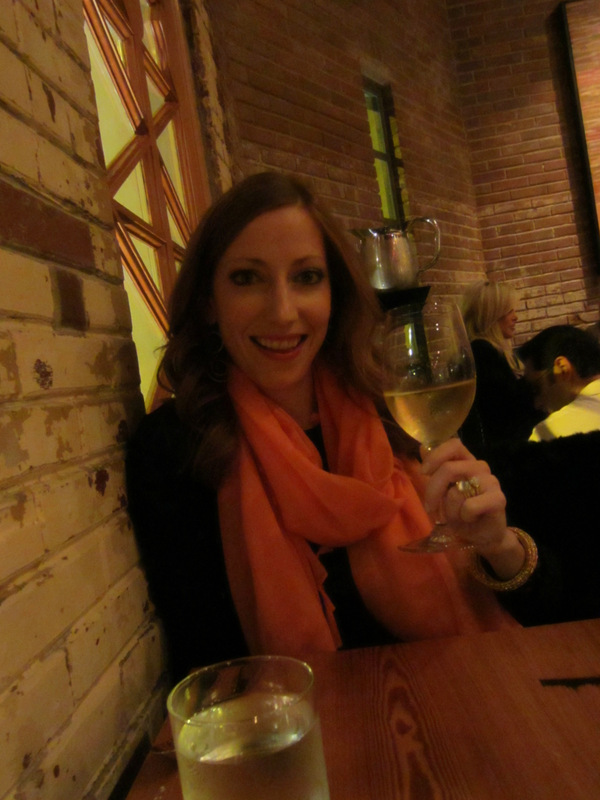 A date night at BLISS, a new South Town eatery, proved to put me in a state of bliss. 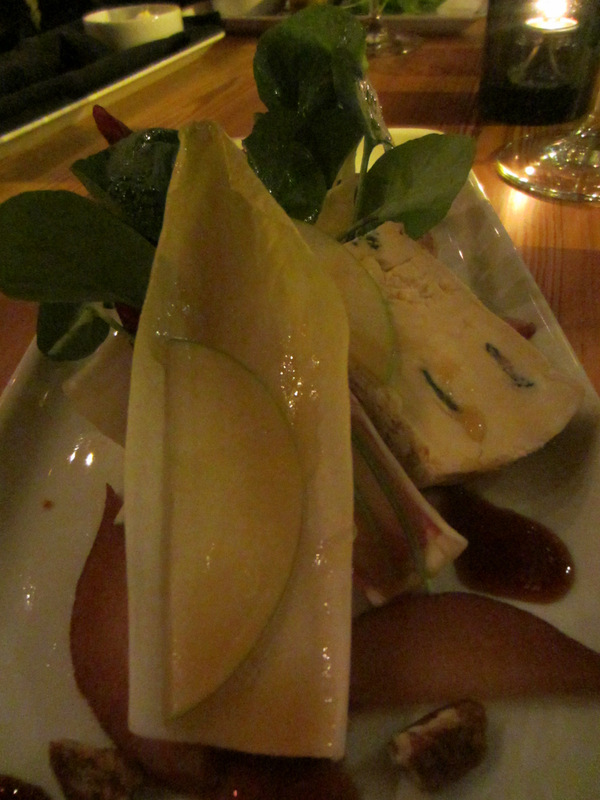 The endive salad was fresh and amazing, with an assortment of pears, apples, and cheese that proved to be a symphony of soft and crunchy textures. The fresh made pasta with a blend of goat cheese and ricotta sent my cheese-loving palate into pure happiness. 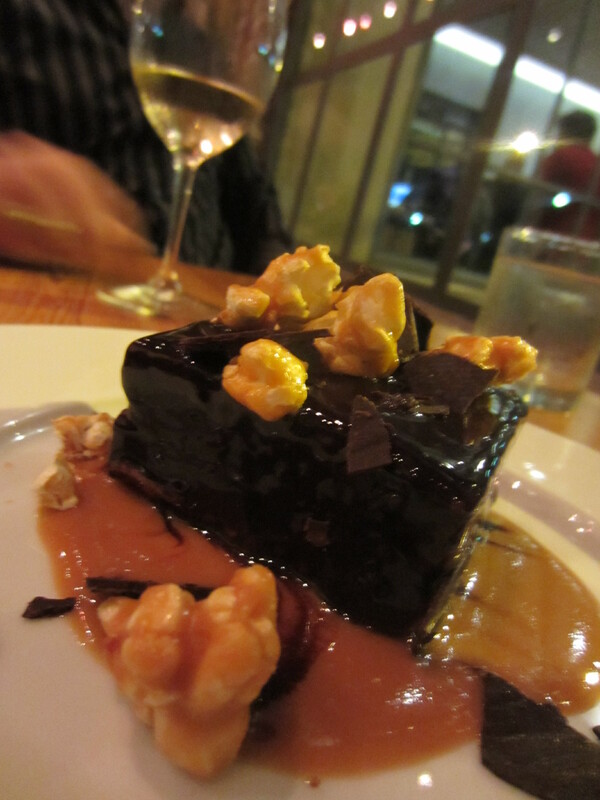 Dessert was just as divine – a chocolate mousse with a bit of sea salt and caramel garnished with caramel popcorn. Bliss indeed. 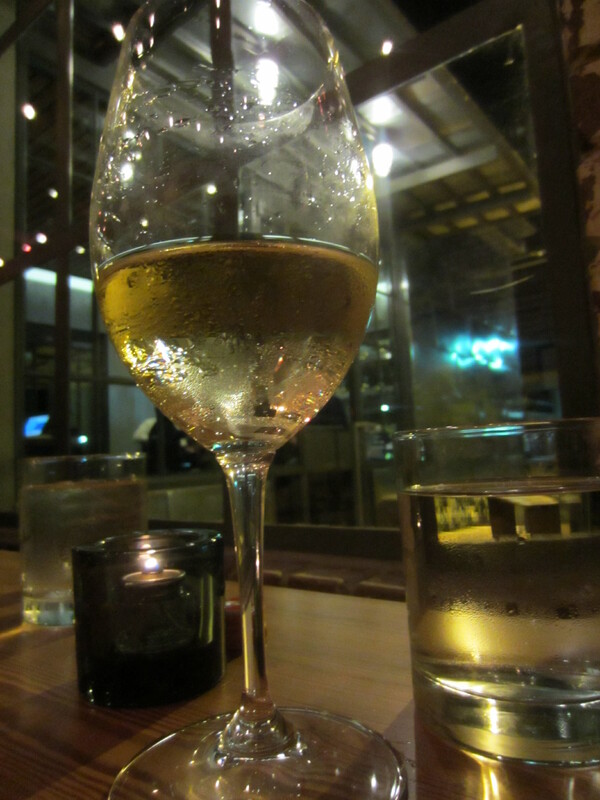 All washed down with a zesty Gruner Vetliner from Austria. Yum! 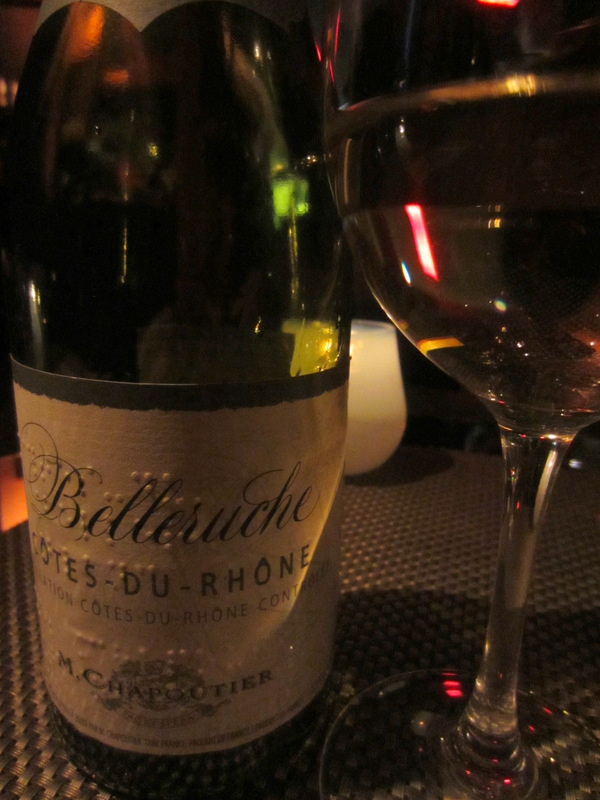 A diversion to Austin delighted me with a wonderful white Cotes du Rhone, refreshing and crisp with the right amount of acidity. 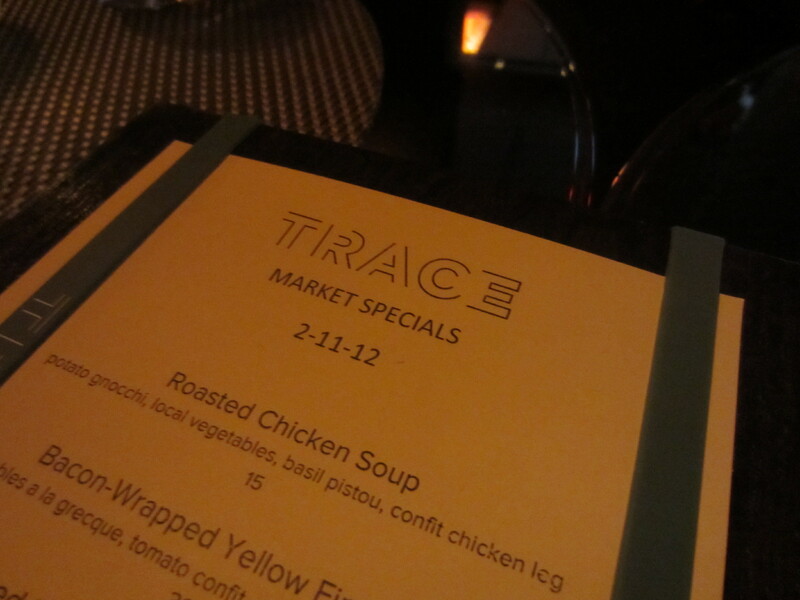 The risotto was a delight with Meyer lemon, pine nuts and goat cheese. 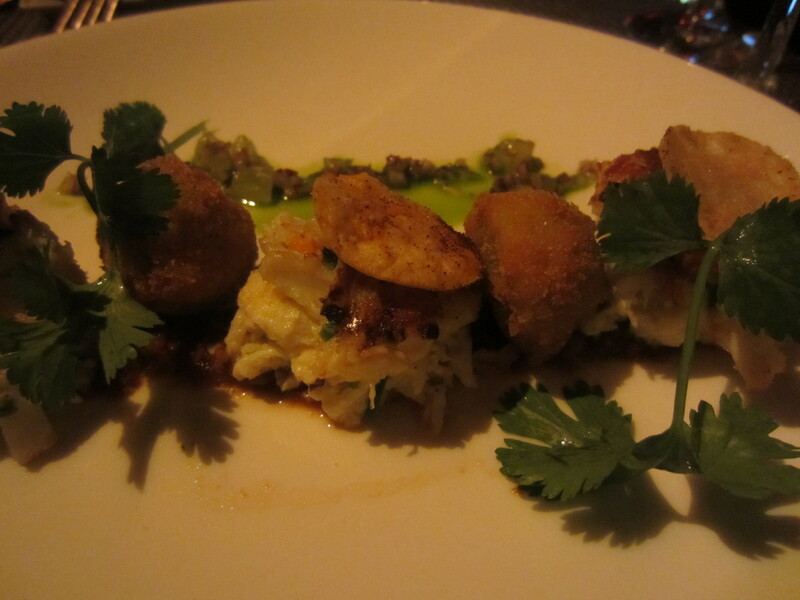 The crab cakes were insatiable – with hot spices and mini tortilla chips. 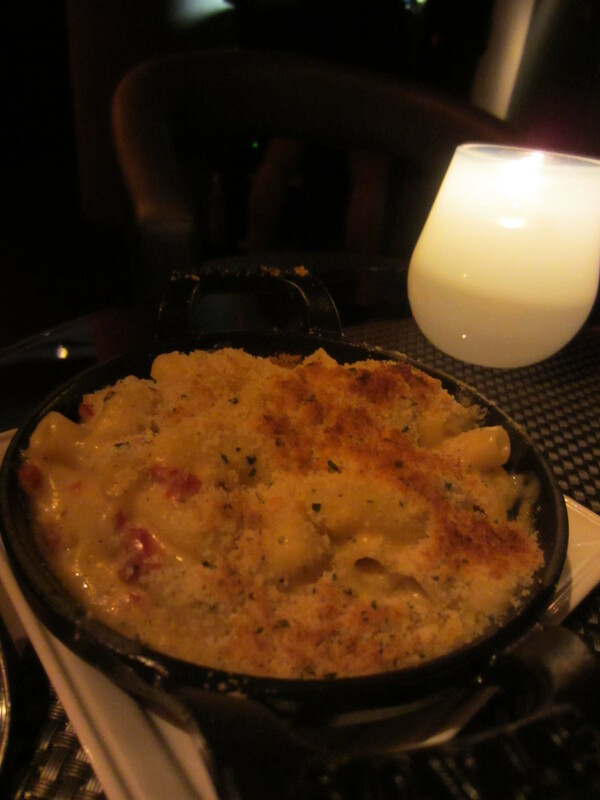 The Mac and Cheese was the ultimate in comfort food. Delicious and pleasing for all. 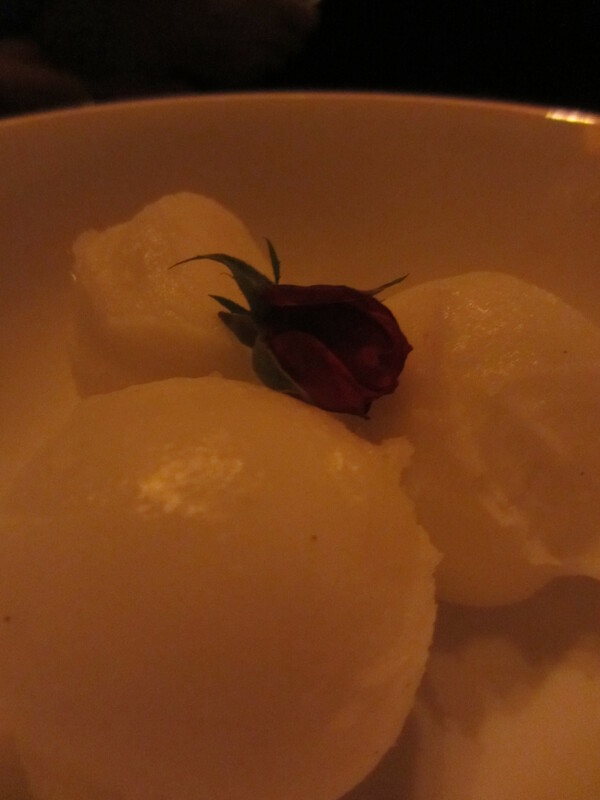 For dessert we opted for both a palate cleanser and a touch of sweetness with the Champagne Sorbet. 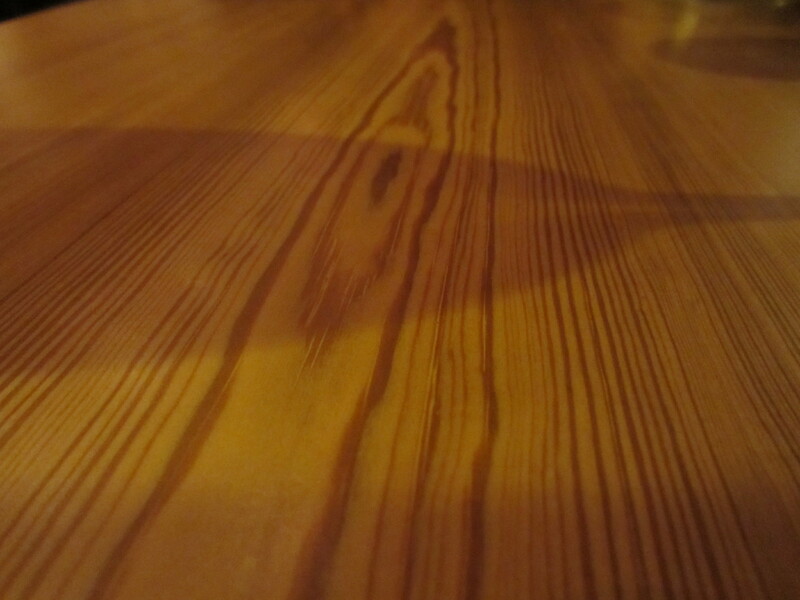 The perfect ending to a delightful meal. (Click to enlarge and view the photos below). Speaking of sorbet – you’ll want to make sure your Spring 2012 wardrobe boasts several sorbet-inspired colors. It will be all the rage this season. I’ve started embracing the sorbets with my lovely tangerine sorbet scarf. It’s my go-to accessory lately. Pleasing to the eyes, and the palate. Other colors you’ll want to collect are: canary, deep blue, poppy, and grassy green. Cheers! Previous Previous post: Sustenio Makes its Debut!